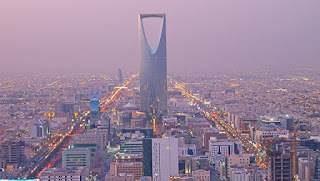 BEIRUT, 4 Nov-Saudi Arabia's air defense system destroyed a ballistic missile in the north-east of Riyadh, Al-Arabia reported. According to the television channel, the rocket was launched by rebels from the territory of Yemen. It is noted that the attack was timely repulsed, there are no casualties among the population. The international airport in Riyadh is operating normally. The Lebanese Al-Mayadin TV channel, referring to its own sources, earlier reported that the Yemeni and the national militia missile forces claimed that they successfully defeated the target at the international airport of King Khaled in Riyadh. "We have once again proved that the capitals of our enemies are not protected from our missiles," wrote the official spokesman of the Yemeni movement Ansar Allah Mohammad Abed As-Salam on Twitter. In Yemen, since 2014, the military-political conflict continues. Attempts by the United Nations to organize a peace process were unsuccessful. In the conflict, on one side, insurgent husits ​​from the Shiite movement Ansar Alla and a part of the army loyal to former President Ali Abdullah Saleh, and on the other hand government troops and the militia supporting President Abd Rabbu Mansour Hadi are participating. The government is supported from the air and on the ground by the Arab coalition led by Saudi Arabia. In response, the Yemeni rebels regularly fire rockets on Saudi border areas. In late July, 69 kilometers from Mecca, a missile was fired from the territory of Yemen. In early October, the media reported the launch of a missile in the Saudi district of Jizan.